There are now 7.1 million precarious workers in the UK. That is more than 20% of the UK workforce and the number is growing fast. Precarious workers now outnumber the 5.8 million members in trade unions (mostly in the declining public sector). A new report ‘Working Together: Trade Union and Co-operative Innovations for Precarious Work’ calls for increased protection for those precarious workers, operating in the so-called ‘gig economy’. The summary section features eight innovation solutions most of which are already working in the UK for democratising control and not too far away as well in other EU countries. What is key to note is how in many areas co-ops and trade unions are working hand in glove together again and after decades. You will find a great case study of Suma as a wonderful example, since the 1980s, of a Union Co-op paying far higher wages than other workers in their sector and year on year in a business where Worker Ownership and Control really is what is written on the tin. 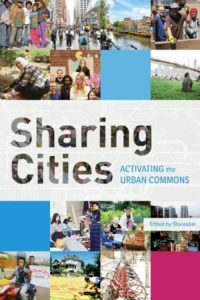 Also inspiring are the case studies of the social care co-ops in Wales and England, the Edinburgh Taxi co-ops, the 9 Musicians Co-ops and the 30 actors co-ops. 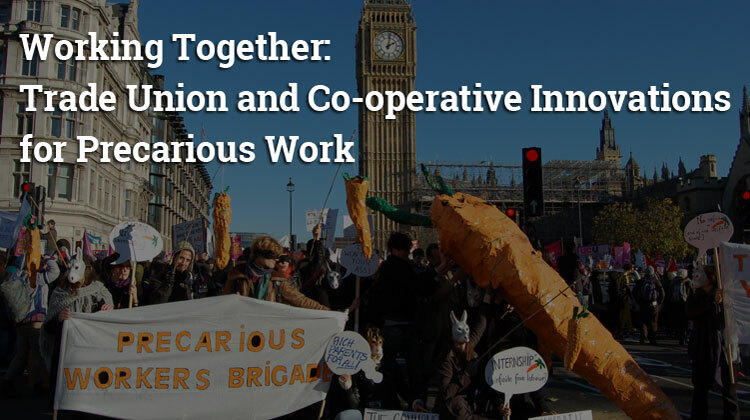 Sadly the UK only has 474 worker co-ops versus the 23,000 worker and social co-ops in Italy where local authority partnerships, laws in 1985 (for worker co-ops) and 1991 (for social co-ops) plus public policy support and local government partnerships has made such a difference. The USA has only 400 worker co-ops. Read the summary and the full report here.